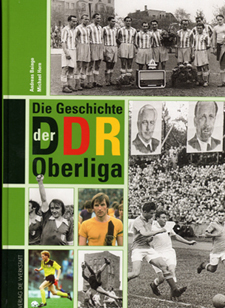 Another beautiful hardback book, not cheap, but worth it to anyone wanting to learn about soccer in the GDR. A chronological account of every season in eastern Germany until reunification. Also listings of all players and clubs that played in the Oberliga. Printed on high-quality glossy paper, the book has lots of photos to accompany well-writtten text.